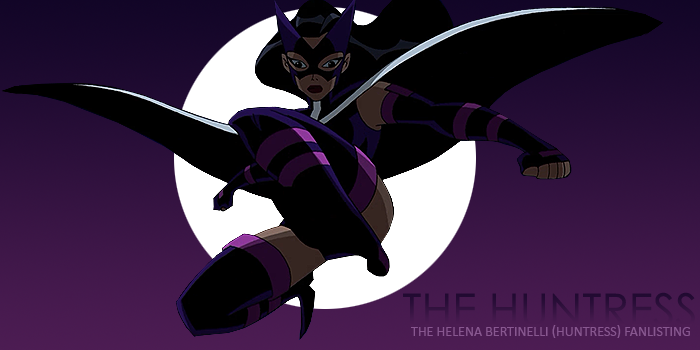 Welcome to The Huntress, the fanlisting for Helena Bertinelli (Huntress) from the animated series, Justice League Unlimited. This fanlisting is part of The True Kindness Network and is listed at theFanlistings. Feel free to browse the sections of this small tribute and if you're a fan of this awesome crossbow wielding vigilante, please consider joining the fanlisting. Justice League Unlimited, Helena Bertinelli (Huntress), and all other related characters belong to Warner Bros Animation and DC Comics.